An afternoon out for all the family. Come and visit us and enjoy a ride on one of the selection of trains that run throughout the afternoon on public running days – select Running Days to check when we’re open. On public running days access to the site and parking is FREE. 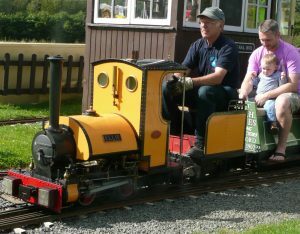 Only £1.50 per ride on the main line and £1 per ride on the high level track – all ages. Please note that we are not able to take card payments for rides or in the cafe. 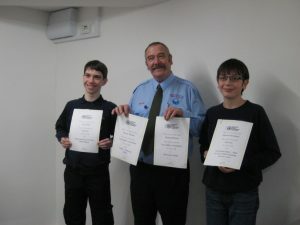 We are a group of model engineering enthusiasts of all ages and abilities who meet regularly to share our skills and projects. There is a wide range of interests within the club from small scale model railways, boats, traction engines, and ride on railways to name but a few. 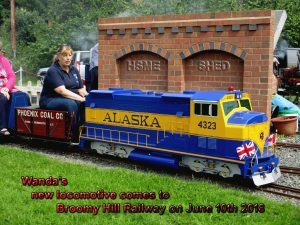 Broomy Hill has tracks for popular gauges of model locomotives with both an elevated and a ground level track. The site also boasts a 20m x 30m model boating pond along with a newly extended garden railway. Situated adjacent to the Waterworks Museum, a visit to Broomy Hill on one of our “Public Running Days”, makes for an enjoyable day for all the family. There is plenty of space for parking and pleasant surroundings to enjoy a picnic or buy a snack from our cafe. If you would like to become a member you will be made very welcome. Just turn up to one of the meetings or events and introduce yourself to a friendly face.